The owner and partners of the medical marijuana dispensary Silver Peak Apothecary posed for a picture last week. The business is building a greenhouse in the Mid-valley. They hope to add retail pot to their offerings. Construction equipment is moving dirt in the Mid-Valley in preparation for a marijuana grow site. The medical marijuana business Silverpeak Apothecary is constructing a 25,000 foot greenhouse to supply both medical and retail marijuana to its storefront in Aspen. As Aspen Public Radio’s Marci Krivonen reports, the owners broke ground Friday despite complaints from neighbors. Silverpeak Apothecary’s owner joined employees and business partners Friday for a photo op. The group posed in front of heavy machinery. Behind it, stakes were stuck in snow-covered mud, marking the outline of a soon-to-be-built greenhouse. Jordan Lewis is the owner of Silverpeak Apothecary. "It’s a huge deal, this is the culmination of a lot of work and hopefully the end of a lot of uncertainty, so we’re very, very excited." When complete, Lewis is counting on the greenhouse to supply both medical AND retail marijuana to the store. The State has licensed the business for retail. Now, it’s waiting on local approvals. Silverpeak hopes to start selling retail at the end of February. Lewis thinks retail pot will provide jobs and tax revenue. "I think this industry has the opportunity to bring back some economic stability to the Valley that’s been lost over time and I think the fact that it’s agricultural in nature is well-suited for the Valley." "I’m not a user of marijuana, but I’m very excited about this. It’s the next great possibility for American agriculture," says New York resident Ben Zeitz. He's partnering with Lewis. His company, B. Zeitz and Sons, invests in leading-edge agricultural projects. "I look at this as another crop. There’s a lot of people who look at like it’s growing wine grapes in California. No, it’s just another crop!" Just like crops such as corn, Zeitz anticipates weed will hit some bumps in the road on its way to becoming a lucrative crop. He thinks widespread legalization will eventually come. Across the highway from the construction site, neighbors in the Holland Hills neighborhood are concerned. Long-time homeowner Ann Smock says it’s not that she doesn’t support legalized marijuana, she’d just like to maintain the rural character of her neighborhood. She thinks the greenhouse doesn’t fit in. "I think they’re making a good faith effort to make it (greenhouse) fit in but if it gets any bigger than what they’re proposing, I think it will definitely affect the character of the neighborhood." She fears the grow site will expand from its 25,000 square foot greenhouse. "I’ve never seen a greenhouse of that immense size nestled in among residential areas. These should be out in open spaces and the (Pitkin) County has been so adamant about keeping this corridor/entrance from Basalt east, as rural as possible, and I just think that’s going to be a joke if we have these buildings crop up." But plans for just the greenhouse are in place now and the project’s moving forward. Jordan Lewis says he’s reached out to neighbors and invited them to look at their plans and discuss their concerns. "At the end of the day, we just hope to be a good neighbor and I think we will be." Silverpeak Apothecary will find out January 7th whether its received approvals from the City of Aspen to sell retail pot. A possible green light from Pitkin County will likely come later this winter. Some Basalt families are angry about being removed from their homes. The relocation is part of an effort to get residents out of a flood plain and restore the Roaring Fork River. Now, frustrated residents are meeting directly with town officials. The Town of Basalt is holding a meeting next week with a committee called Workers for Justice and Diversity in Basalt. Aspen Public Radio’s Marci Krivonen reports. Across the state, more than three dozen retail marijuana stores opened for business on January 1st, marking a historic milestone for pot advocates. News reports showed lines outside of some Denver-area stores. And, people from around the country traveled to the state to purchase pot. In the Roaring Fork Valley, retail marijuana shops are expected to open later this year. Colorado is set to become the first U.S. state to regulate and tax sales of recreational marijuana, after lawmakers approved several bills that set business standards and rules. Legislators expect enforcement of the rules to be paid for by two taxes on marijuana — a 15 percent excise tax, and a 10 percent sales tax. 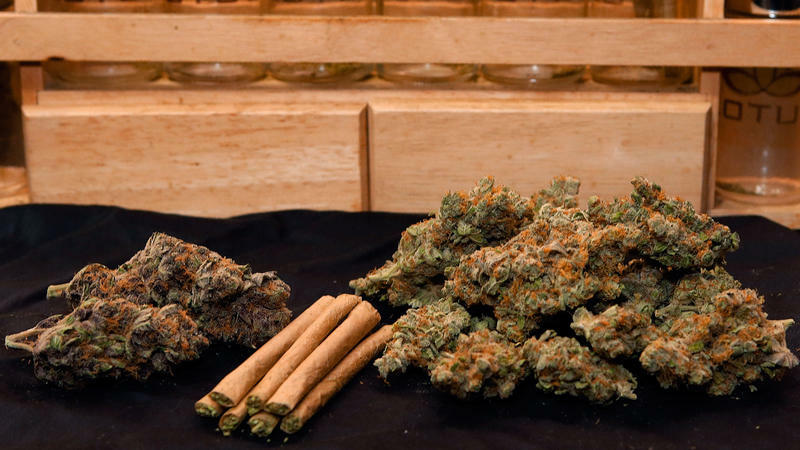 Other measures included in the package set limits on how much marijuana visitors to Colorado can buy (a quarter of an ounce), as well as a limit on how many cannabis plants a private citizen can grow (six).